As any real estate agent will tell you, it is the kitchen and the bathrooms that sell a home. Outdated bathroom pieces such as pink tubs, and cracked tiles and old vanities do very little to showcase your home. 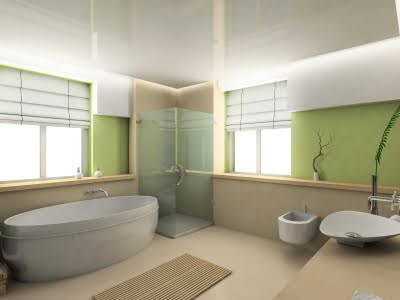 Even if you are not thinking of selling your house, a beautiful bathroom gives a home owner a huge sense of pride. Bathroom renovation is not as difficult as we may originally think. There are many products out there that can suit the individual’s sense of style as well as their budget. For example bathroom vanities can be made to look antique like with solid oak and intrigue designs that can suit a century home. However, if you crave a more modern feel, glass, of even man made stone vanities can truly make a bathroom look and feel modern. A good vanity can offer a multitude of storage solutions for the room in the house which can often be packed with various lotions and shampoos, and dozens of other ‘necessary’ items. When choosing a bathroom vanity makes sure that the mirror is made to match the interior. The small details will be sure to bring a sense of flow to the room and make it shine.